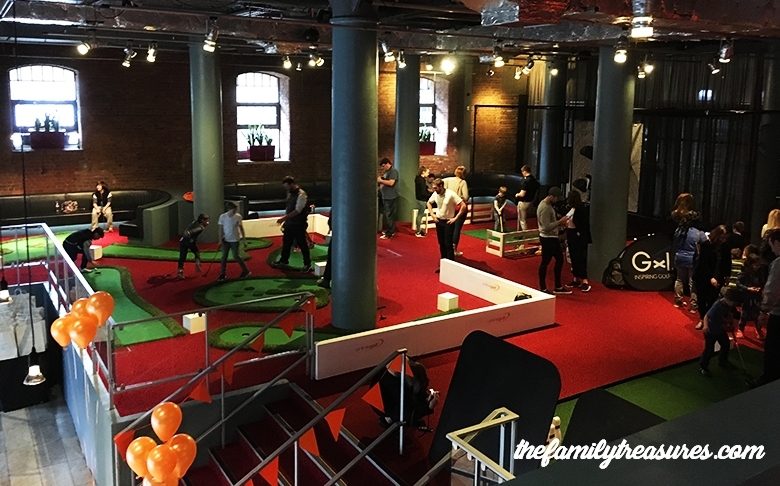 A couple of weeks ago we were invited to the “Get Kids into Golf” event organised by OnlineGolf, the online golf shop for all golf products and news. 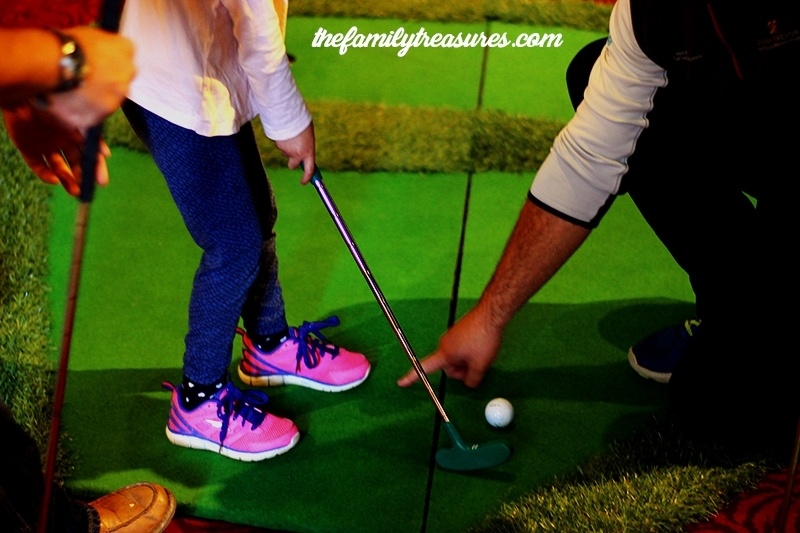 We were quite excited to attend since our only experience with golf was crazy golf, and even that we haven’t played it very often! 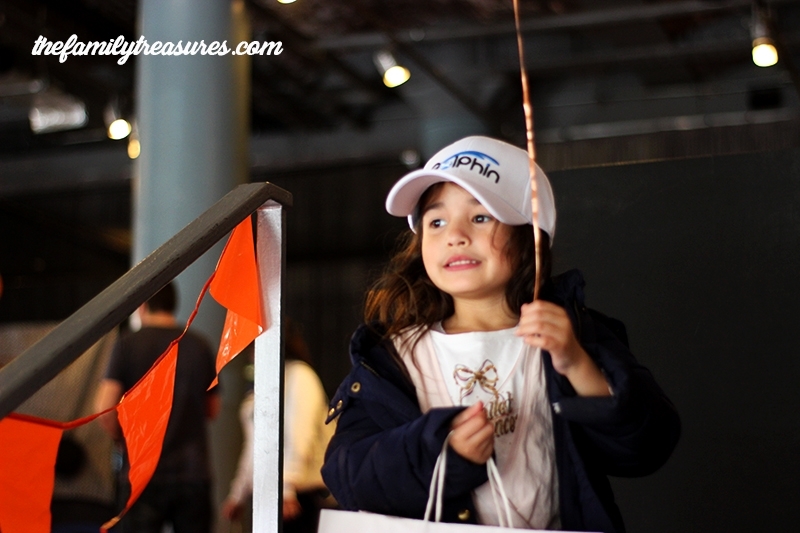 The activity was aimed to all children 3 years and above so our little J, who’s 5 years old, took full advantage of it. For our little boy, who is one year old was more just about chasing the balls around. We got there on time and met with other families. The place had been set up quite nicely and it was indoors, so the bad weather didn’t affect us at all. 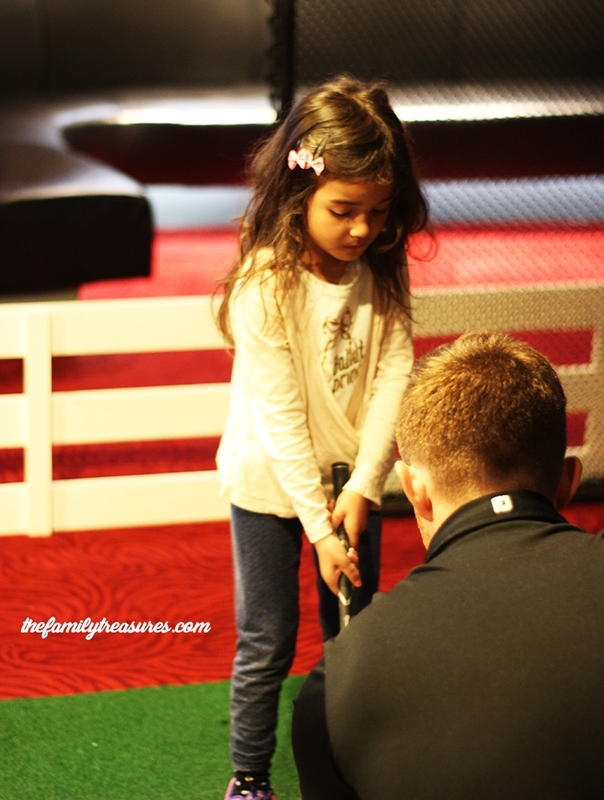 They organised us all into groups so the little ones could walk around every station and try a different exercise, guided by professional golf players and instructors. In a fun and entertaining way they used every opportunity to teach the children the right terminology. 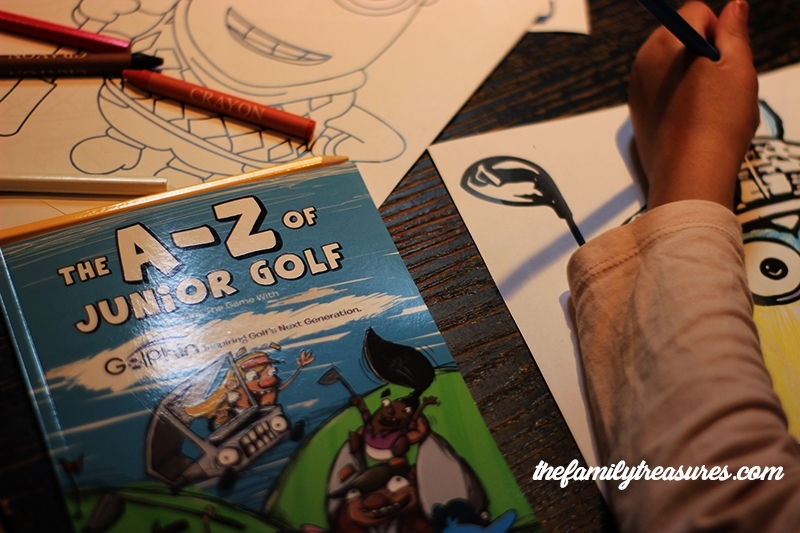 So we also learnt that an “ace” was a hole in one or a “hook” when the ball curves to the left (they called it “captain hook” so the children would remember it) but it has actually helped me to remember it myself! haha and a “slice” (called it “pizza-slice”) when the ball curves to the right. By the way, position is so important! At the end, after enjoying a nice lunch, they gave us some free time to play all the games again, this time, grown-ups could participate too. I thought I would be able to do it, cause, honestly in my mind seemed quite easy…but apparently my body and the club don’t get along too well! I was terrible!! One of the instructors performed a nice trick show, that all children loved. I would say that that was one of our little one’s favourite part. You can watch the video of the event created by OnlineGolf here. Our children are such a great example of this, with perseverance and a good attitude they can achieve whatever they want, and as in golf, we can’t always win, but we will always have another shot.